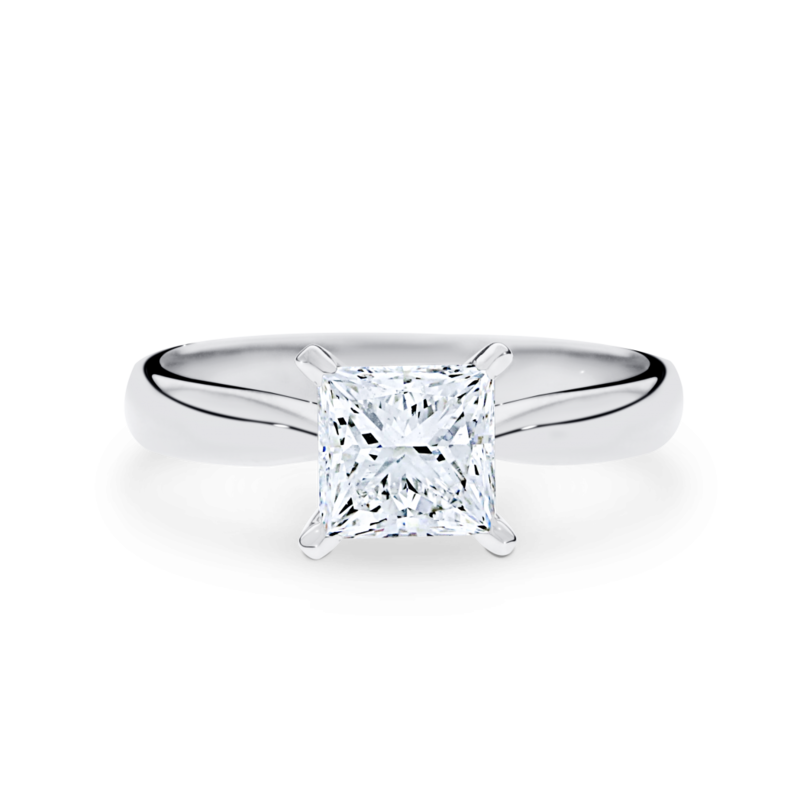 A princess-cut centre stone is set in four claws and given sleek contours by a plain band delicately pinched towards the centre stone. Available in a range of centre and side stone carat weights and shapes. Available in 18ct white, rose and yellow gold or 950 platinum.